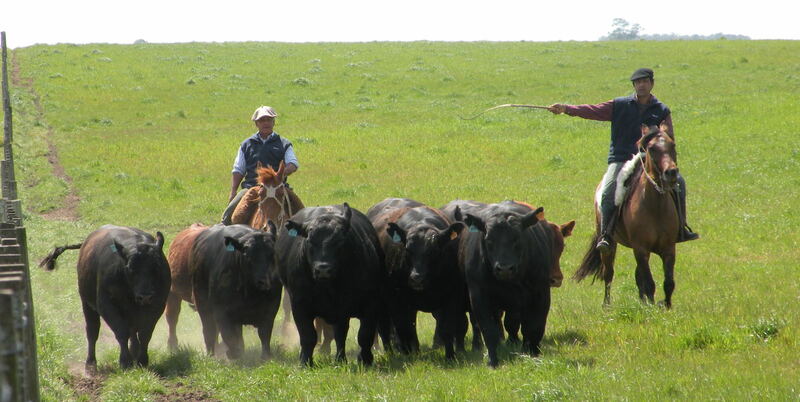 In Uruguay cattle outnumber people by four to one and farming is the most important part of the economy. Invest in a country that is described as "one big farm". 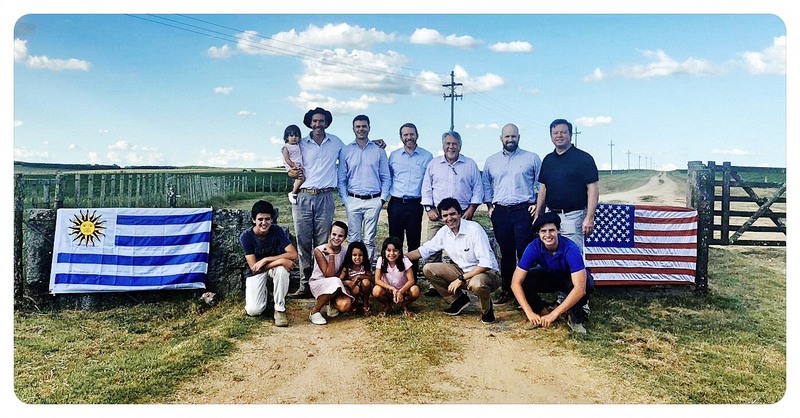 Today, a group of american meat importers visited a typical cattle feeding uruguayan ranch based in Florida, Uruguay managed by the Arrospide family. 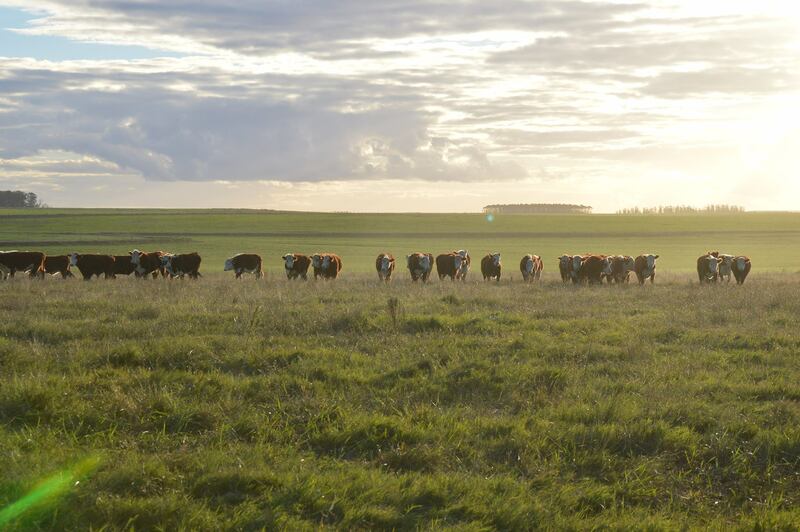 There, they could get a first hand approach of the cattle-management system and the strict feed regime that only includes natural grass and distinguish uruguayan meat overseas. Among the visitors a group restaurant owners highlighted the fact that their chain of restaurants is distinguised and well recognized by their customers for the quality of grass fed meat that they serve. We address and advise. We manage and administer in an accounting and financial way. Trend analysis: Each project is adapted and developed based on the technification and environmental care. Our specialty is the sales of livestock to slaughterhouses and in directly to ranchs. We are the 2nd. generation in the business, which has allowed us to gain experience in the market, characterized by its seriousness, dedication and honesty. We carry out work according to the needs and objectives of each client, for that we incorporate experience and professional knowledge of the national agricultural reality. Discretion, ethics and transparency in the conduct of business is our main asset, guaranteeing peace of mind when choosing us. 6th worldwide position in the Environmental Sustainability Index. Good climate, absence of environmental pollution, breadth of sanitary networks and drinking water, together with the level and scope of medical assistance, make a high degree of health and enjoyment. The government promotes investment in general, and in particular maintains a favorable policy towards foreign investment. The general regime is totally open and does not discriminate between foreign and local investors, from the tax point of view. The foreign investor can develop any type of activity, under the same conditions as local investors.